We design custom headrests for portable spas, floor pieces for trainer swim spas, and steps for pools. Our product can be fully submerged in pH balanced water and it lasts! Hydrodeck - PE Closed-Cell Marine Flooring. Easy to apply, peel and stick flooring with 3M™ acrylic based high-bond marine adhesive. Custom made with your color scheme and design pattern. so we can get an estimate to you ASAP. 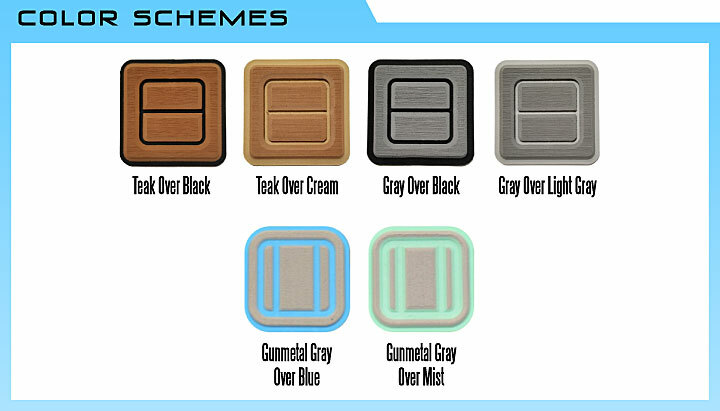 What color scheme are you interested in?